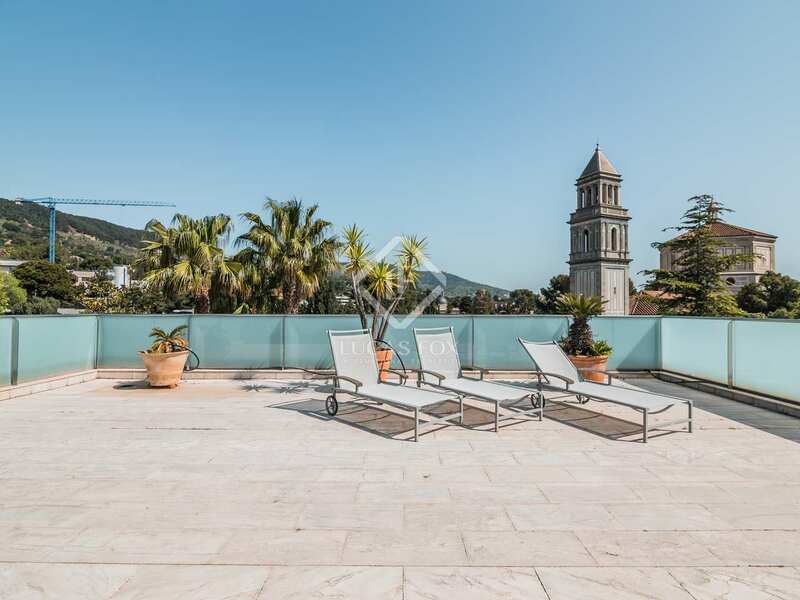 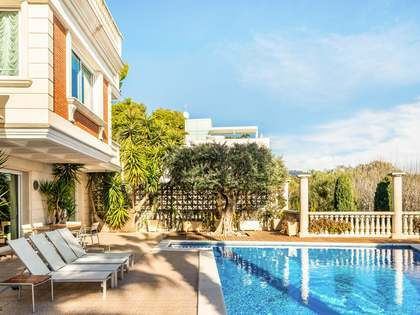 Extraordinary 6-bedroom family house with a garden and pool, a 8-car garage and pleasant views in Pedralbes, Barcelona. 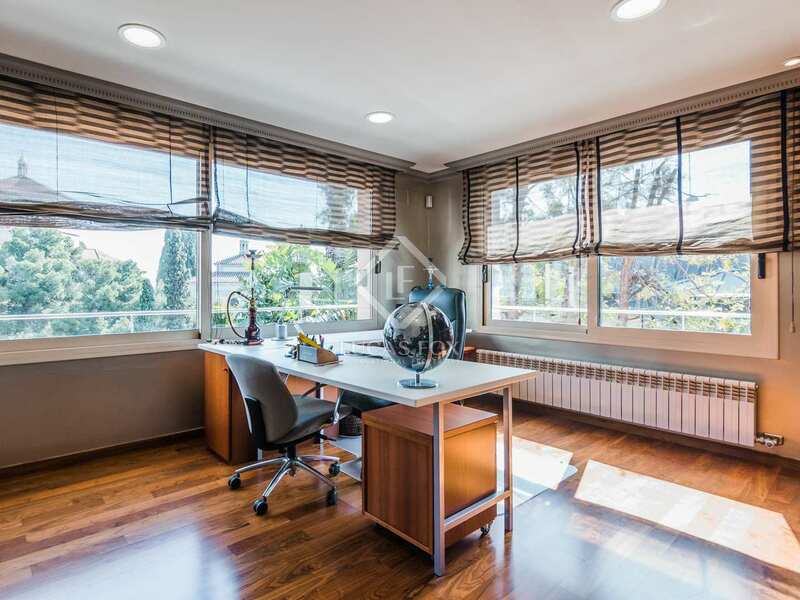 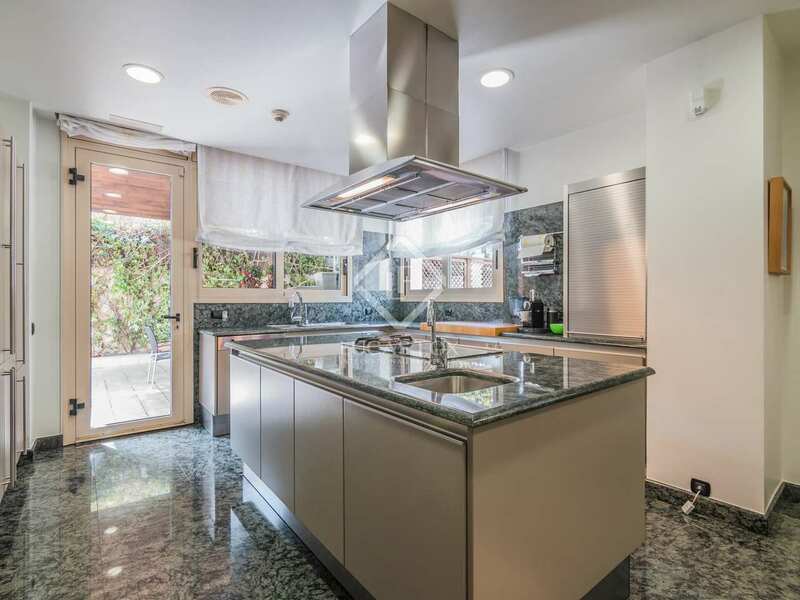 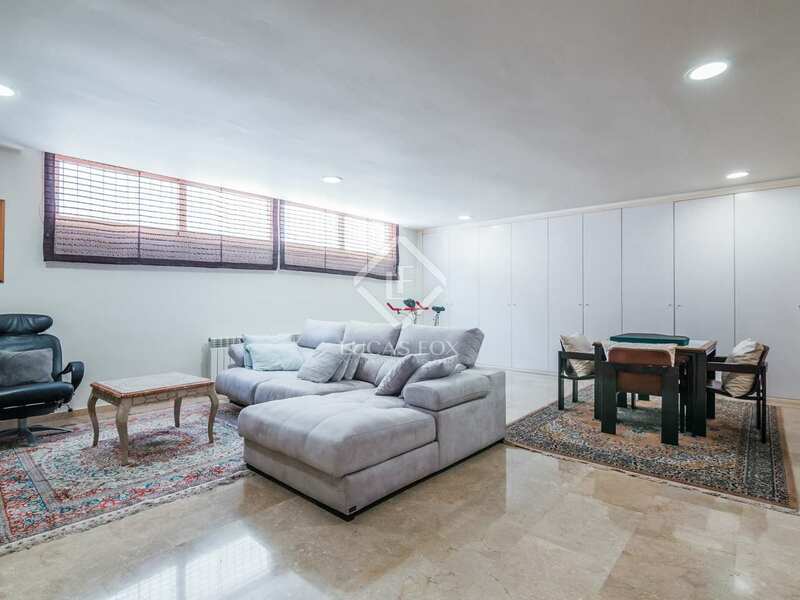 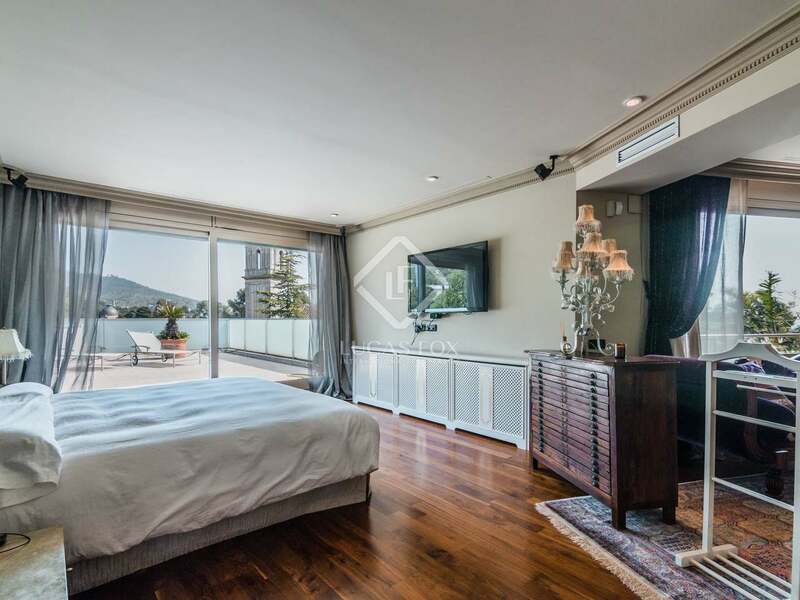 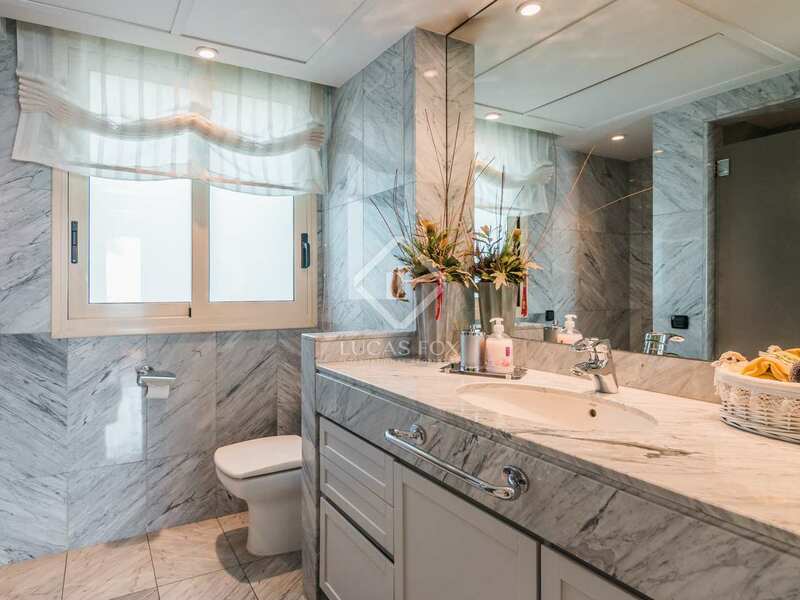 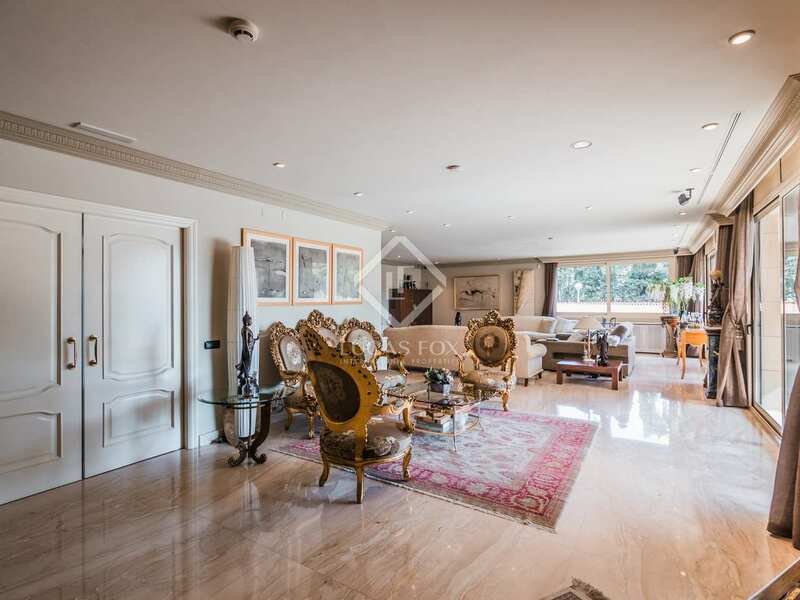 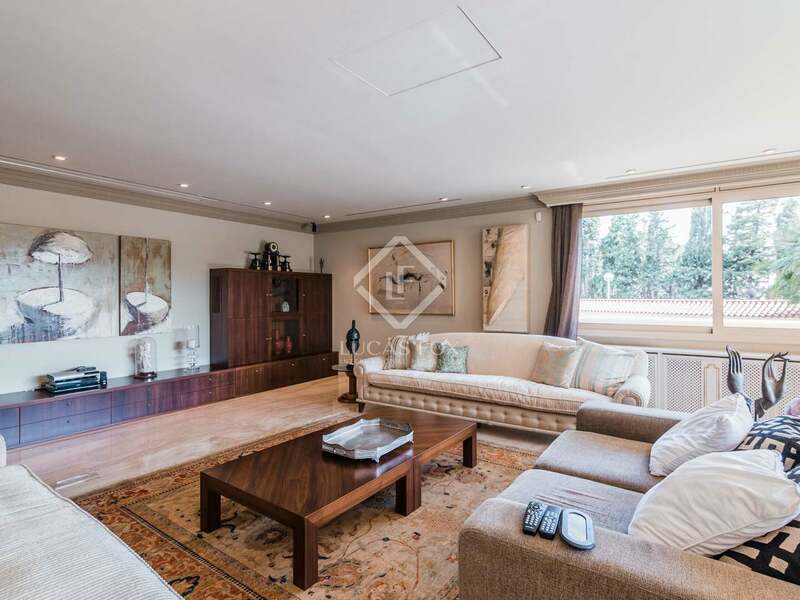 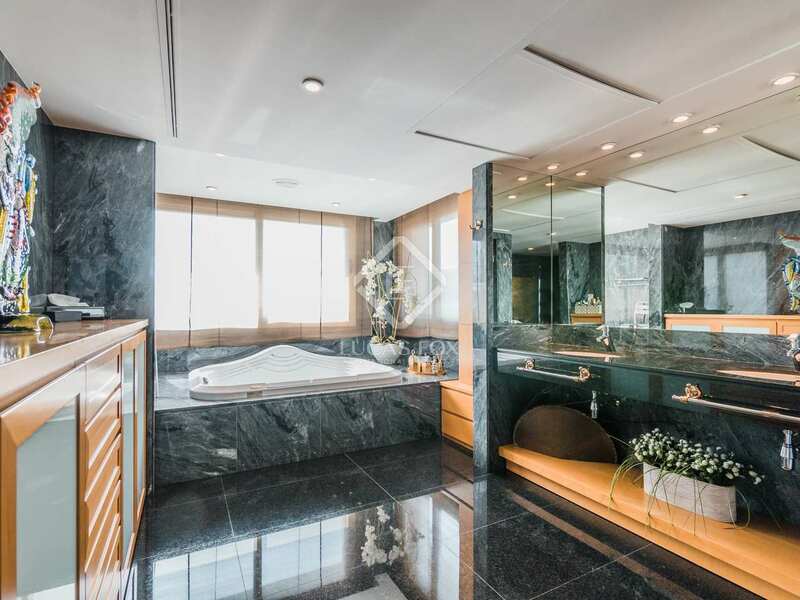 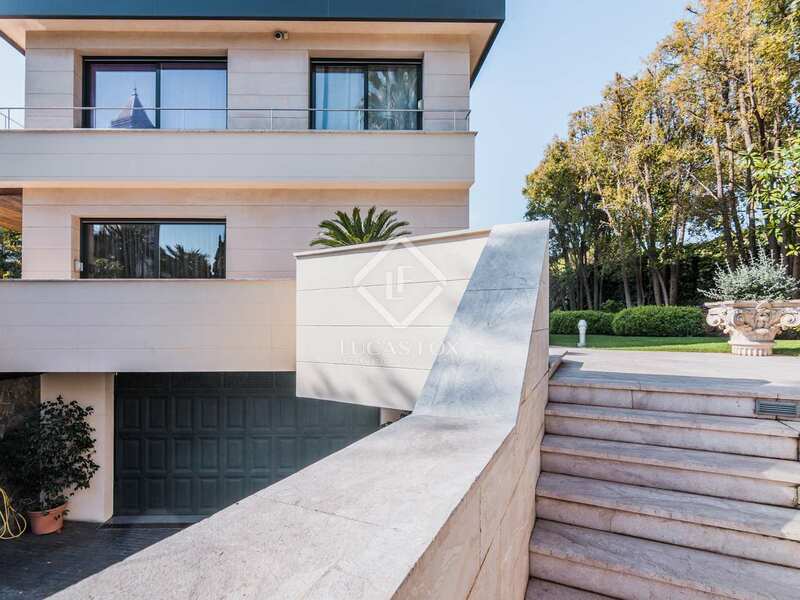 In the highly coveted Pedralbes neighbourhood we find this elegant 6-bedroom house for sale on a 1,034 m² plot with a generous built area of 707 m² spread over 4 floors. 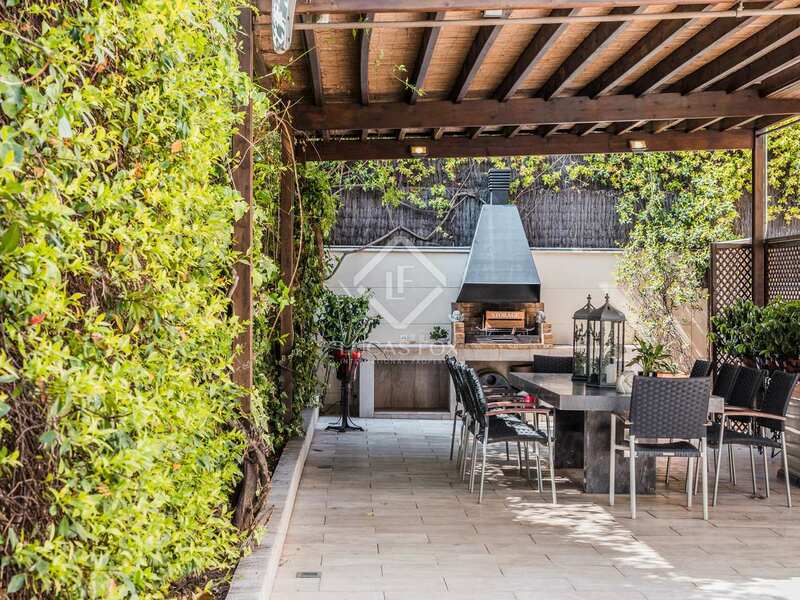 Surrounding the house is a very pleasant terrace which leads to a lovely garden with lawn and an excellent outdoor swimming pool. 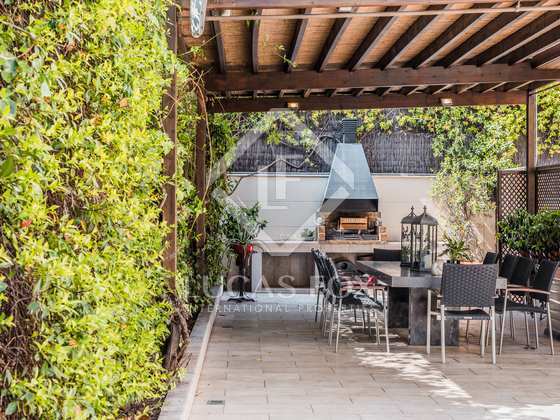 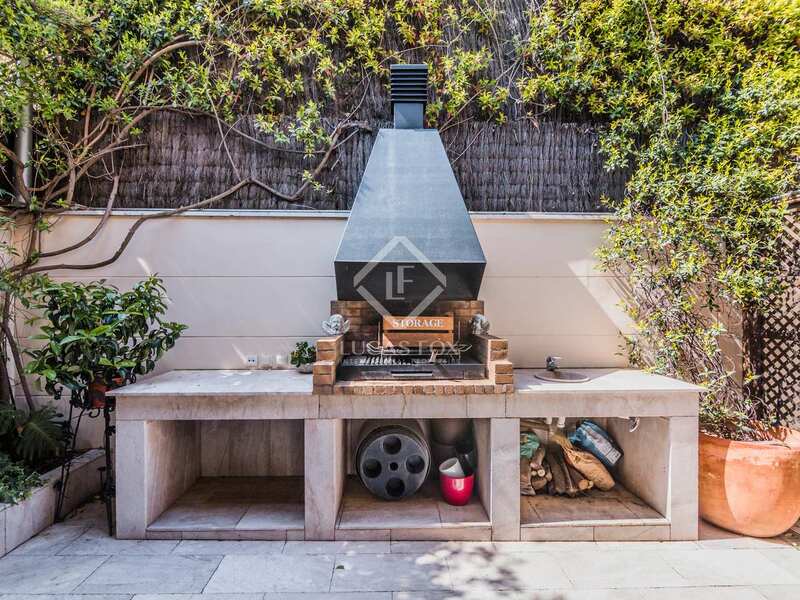 A barbecue area is conveniently located in a separate part of the garden. 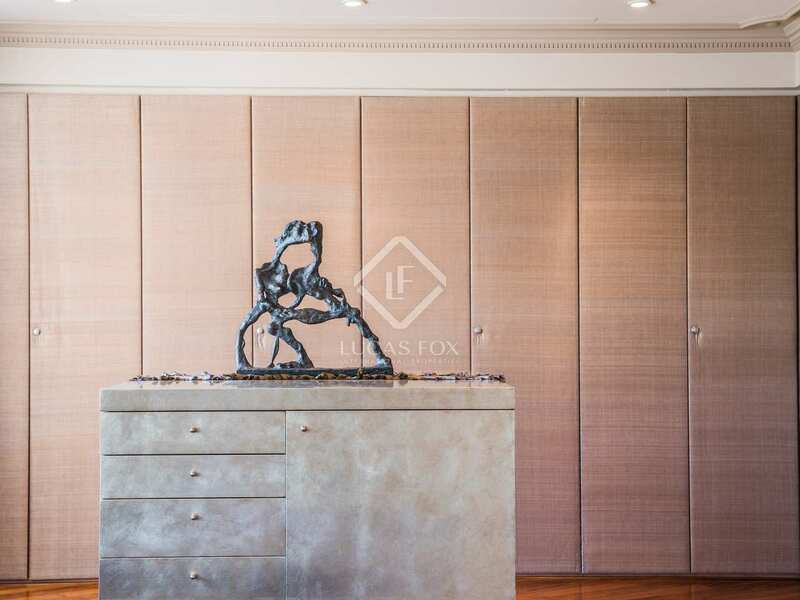 On stepping inside the house we immediately see the quality finishes and excellent condition of this high-end residence. 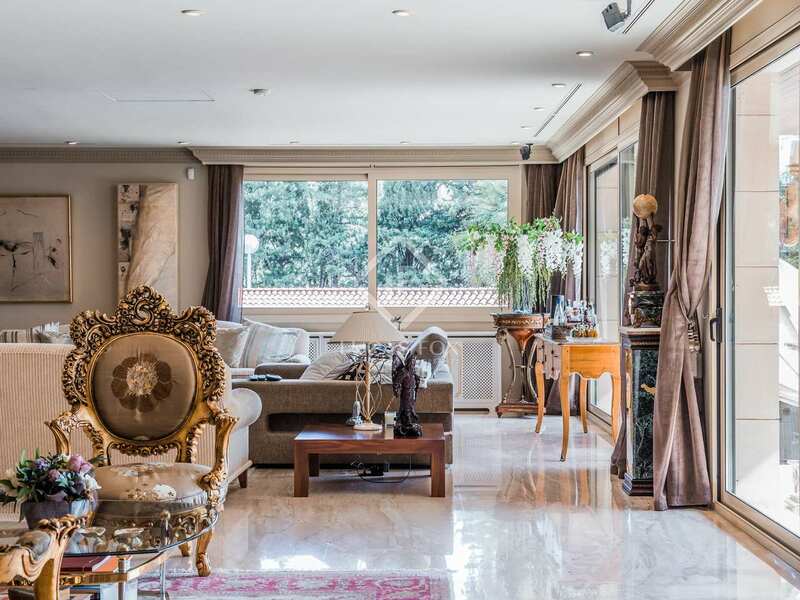 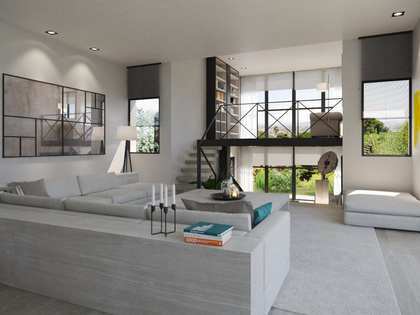 The main floor offers a spacious living room connected to an elegant dining area with access to the kitchen with its marble island. 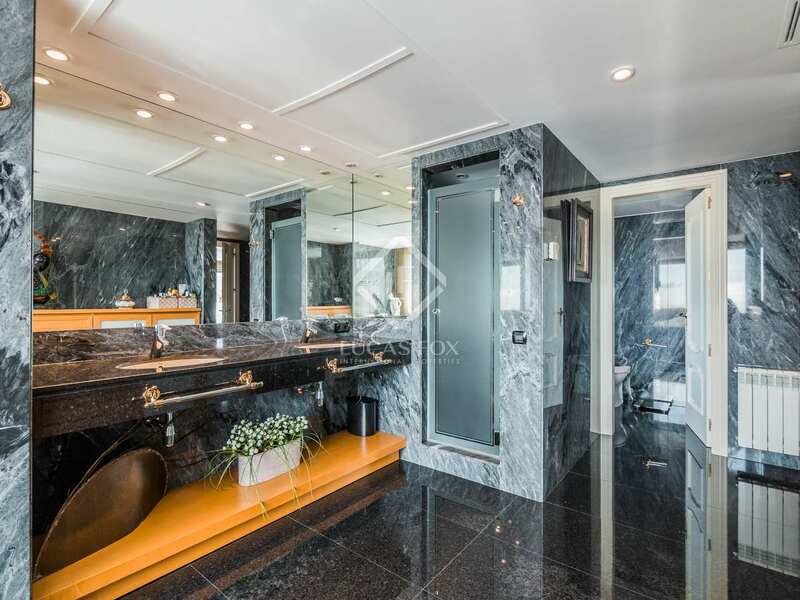 There is also a guest bathroom on this floor for added convenience. 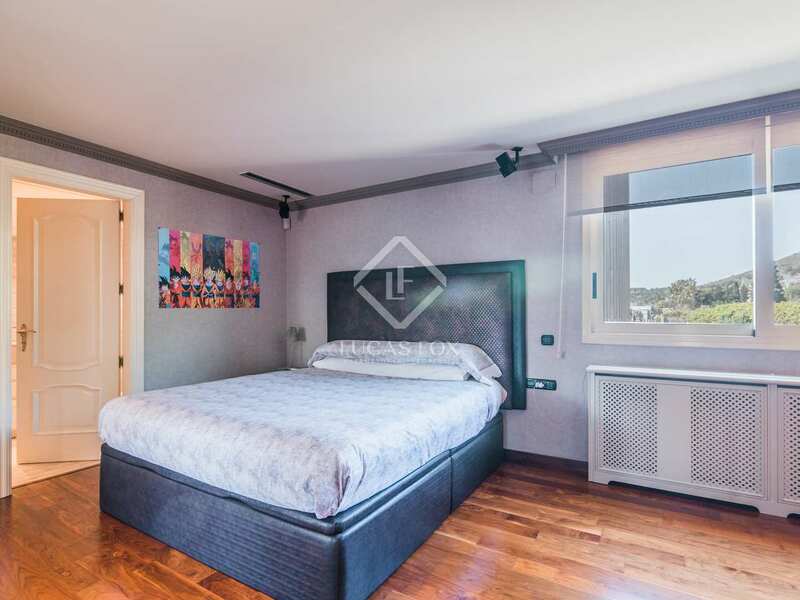 The first floor houses 4 double bedrooms, 2 of which share a complete bathroom and the other 2 have their own en-suite bathrooms and studies which may be used as further bedrooms if necessary. 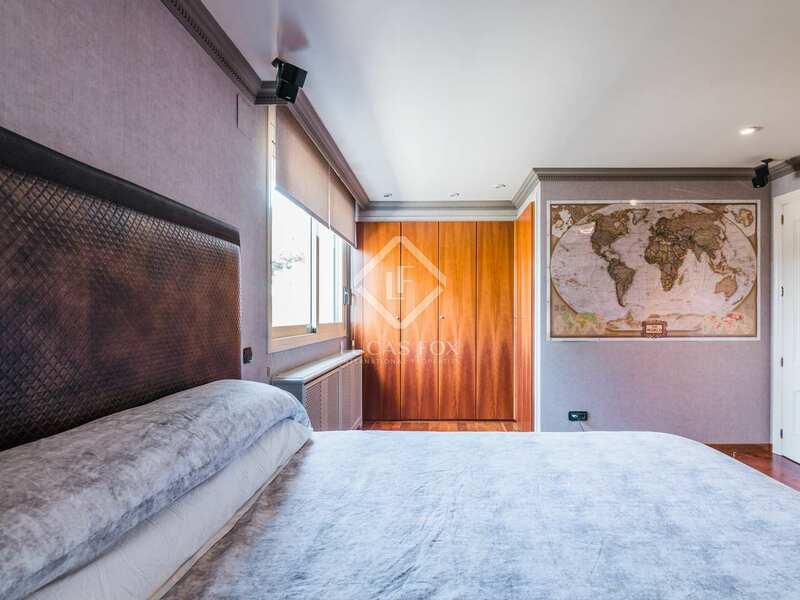 The glorious master suite with its private bathroom, terrace and large dressing room is found on the second floor along with another study. 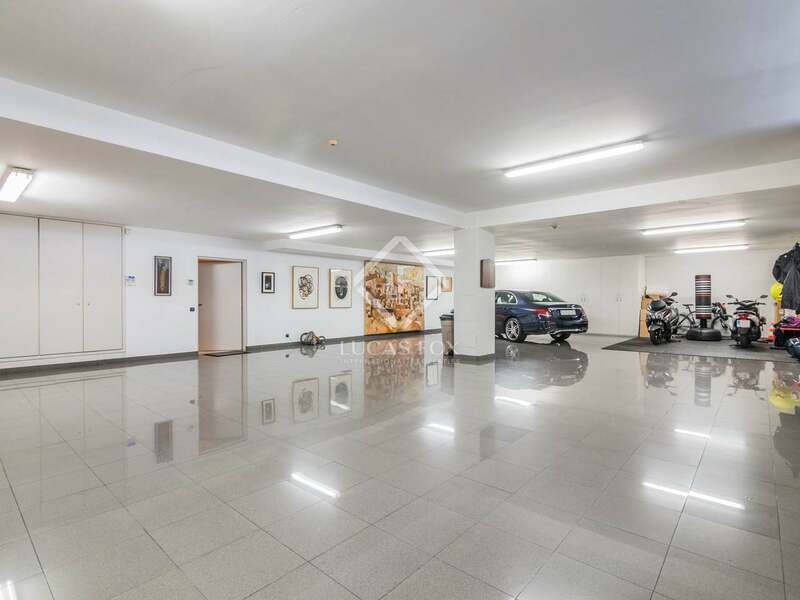 On the lower ground floor, not only do we have a 8-car garage, machine room, utility room and service quarters, but we also find a large multipurpose space which is ideal for use as a games room and home cinema area. 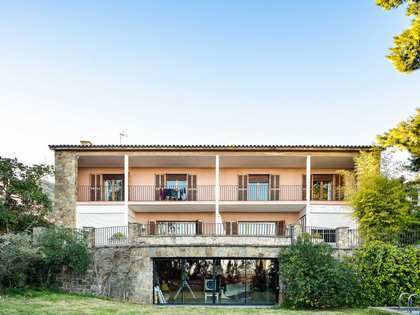 The property is in excellent condition and enjoys peace, privacy and lovely views. 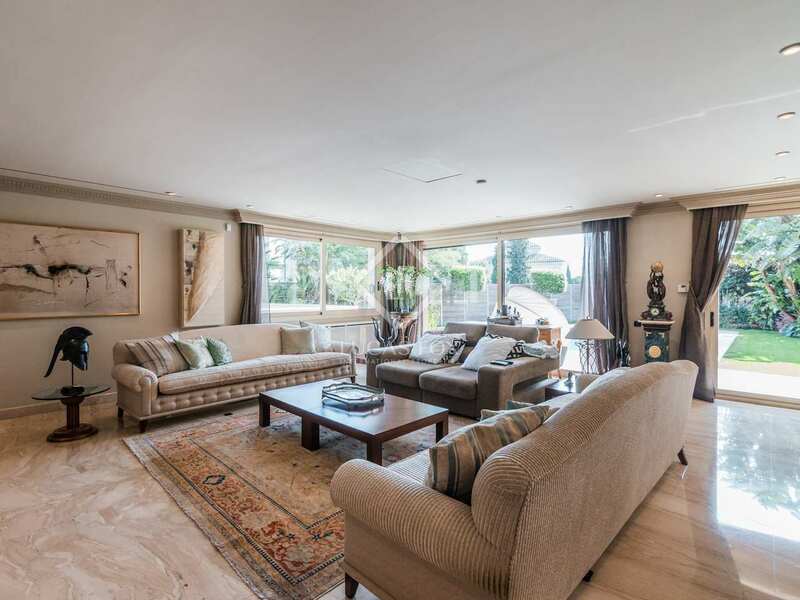 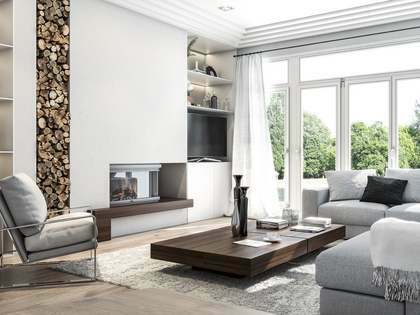 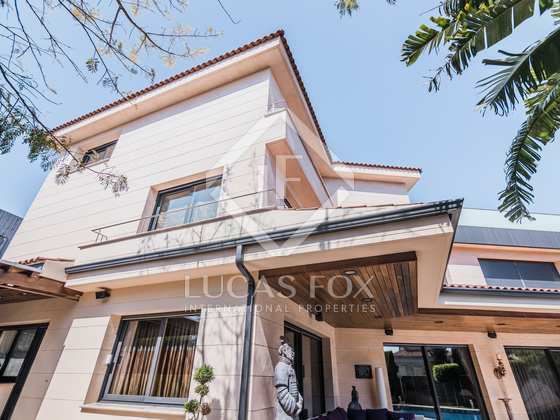 In short, a luxury family home for the most discerning client. 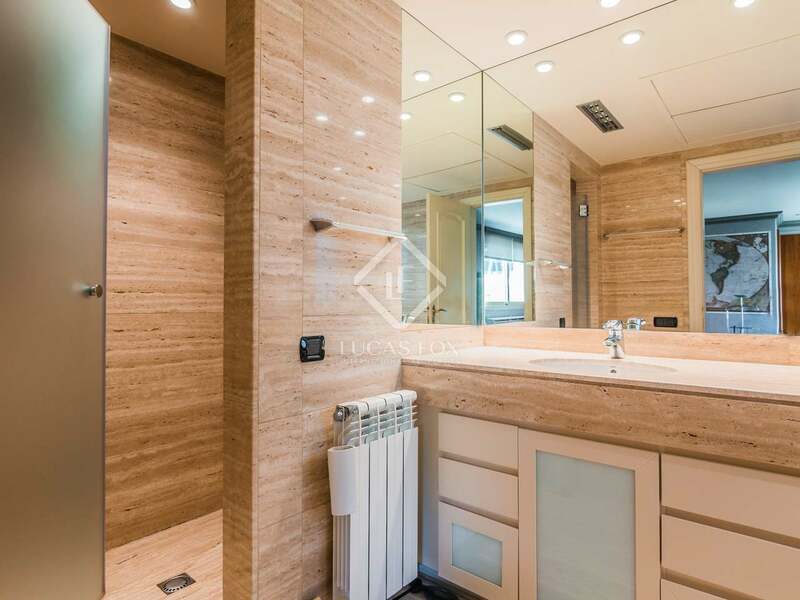 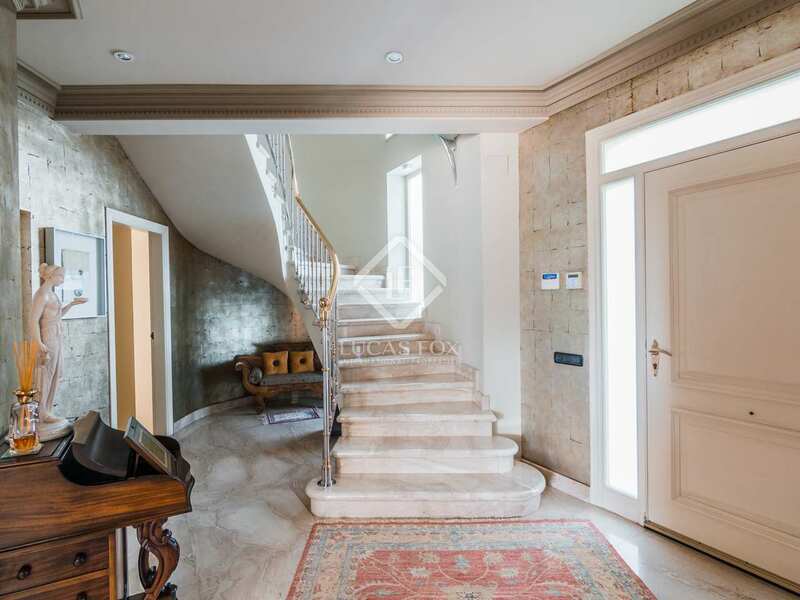 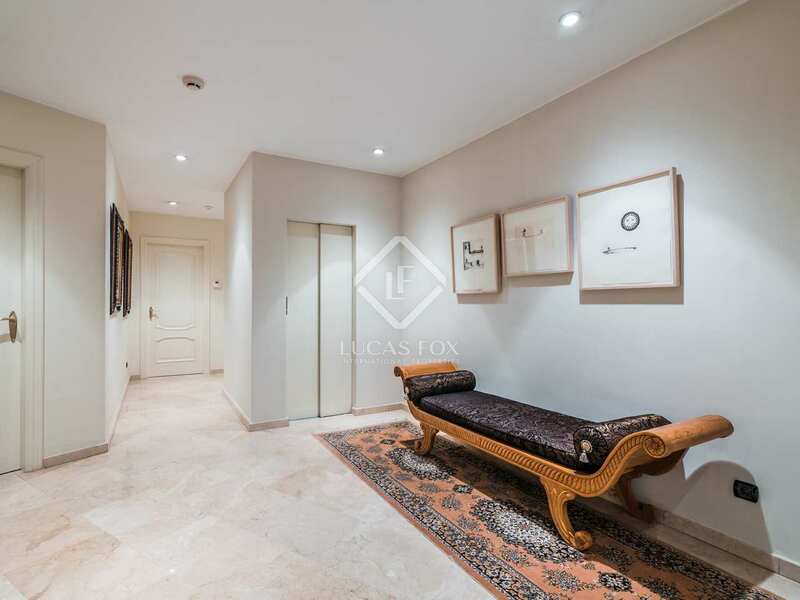 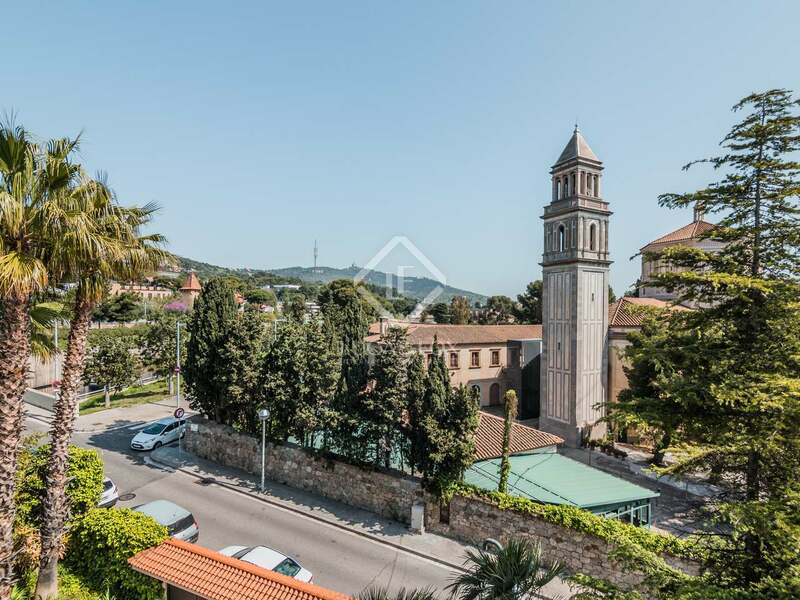 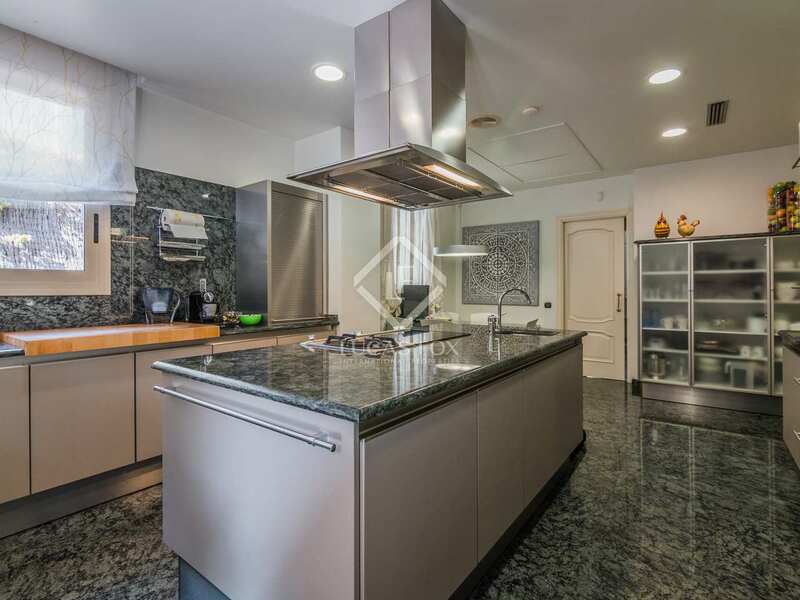 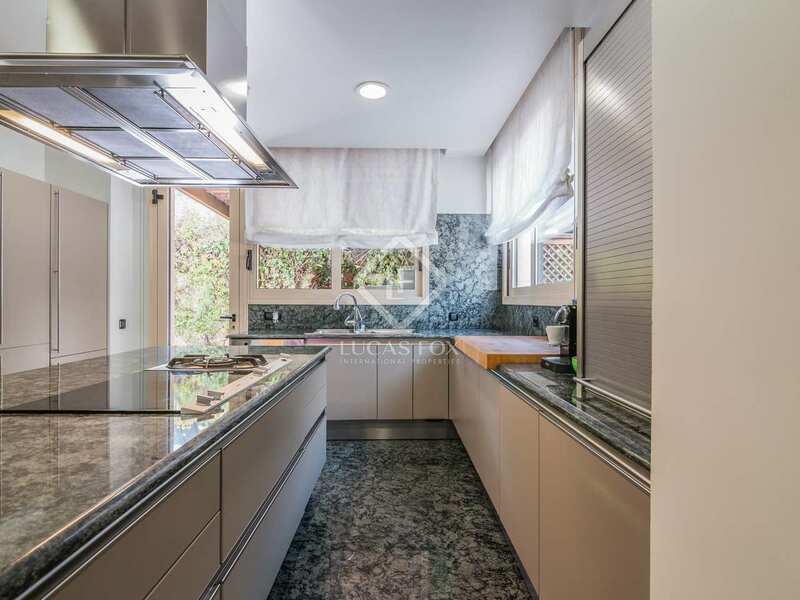 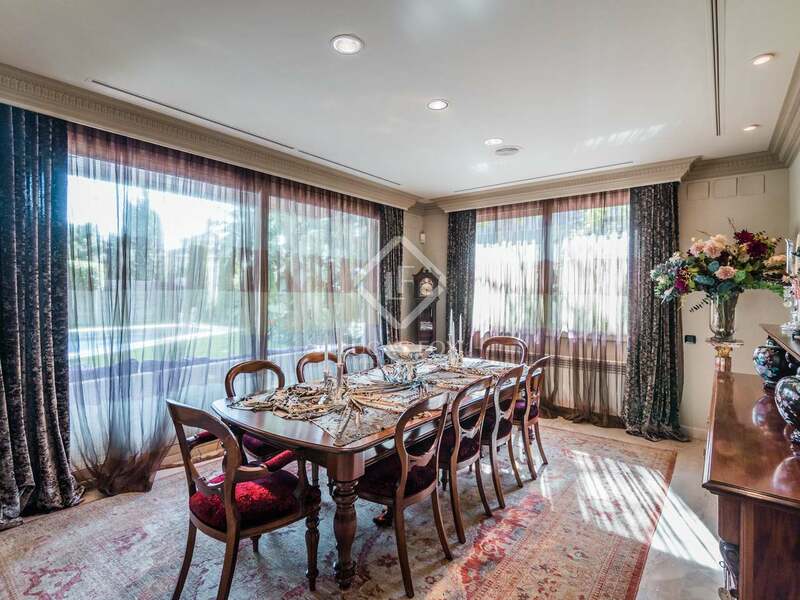 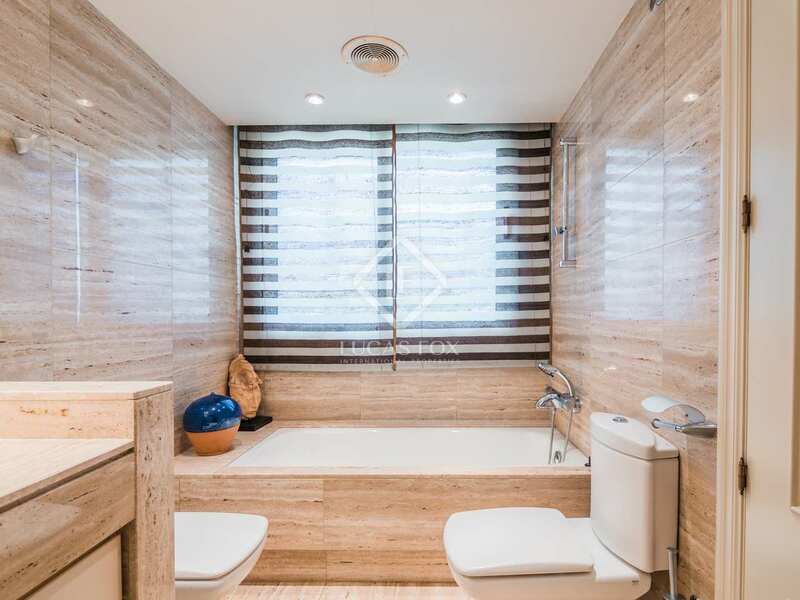 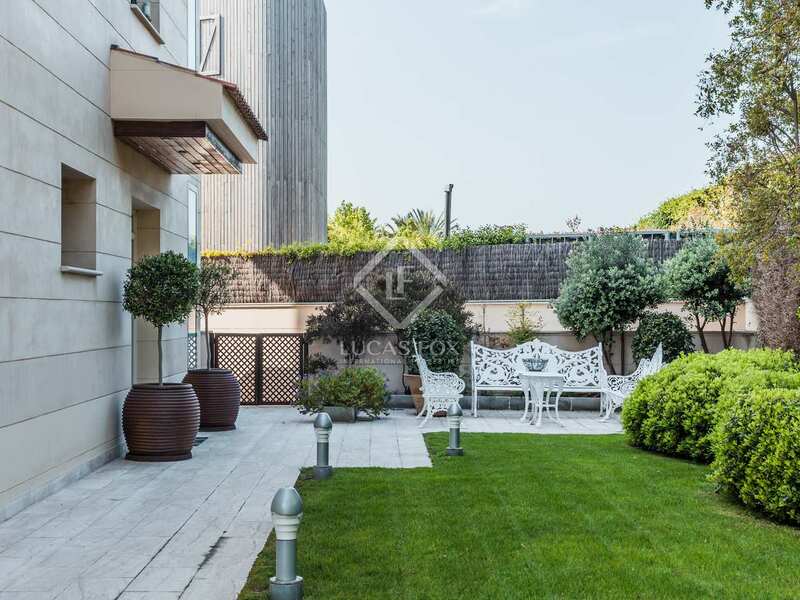 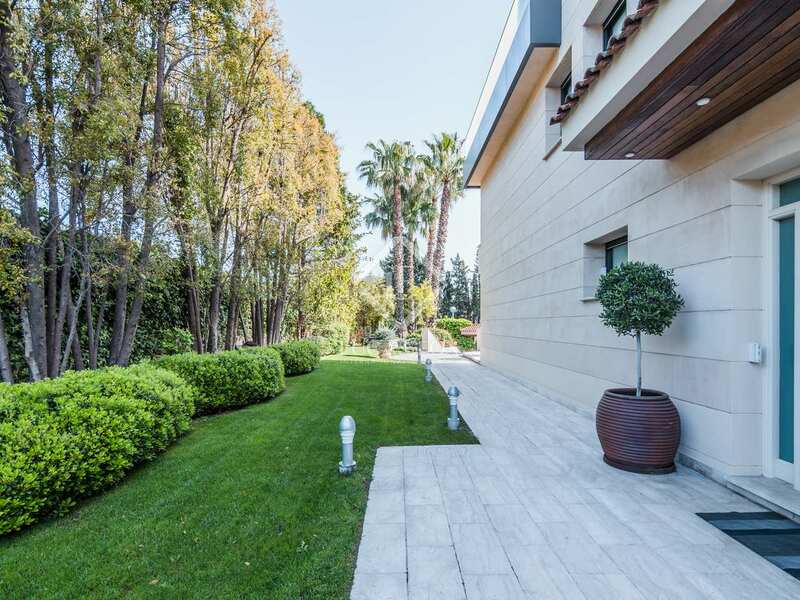 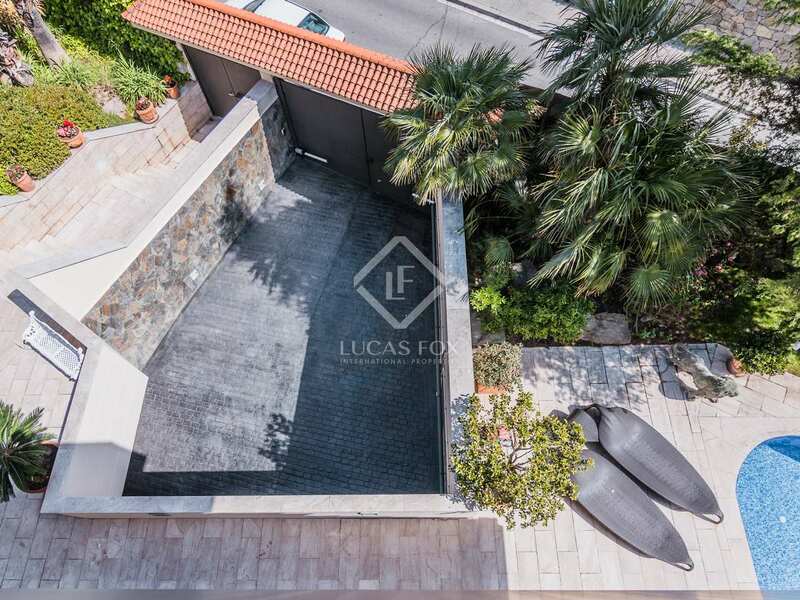 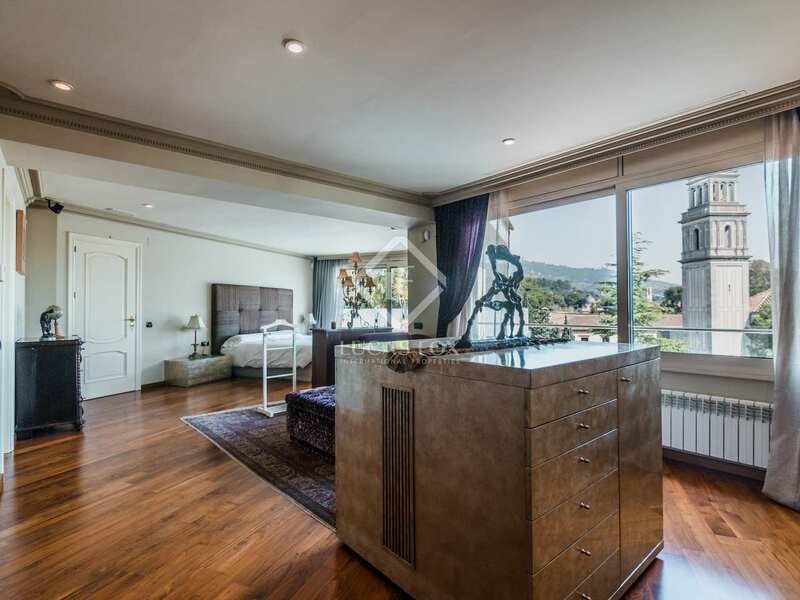 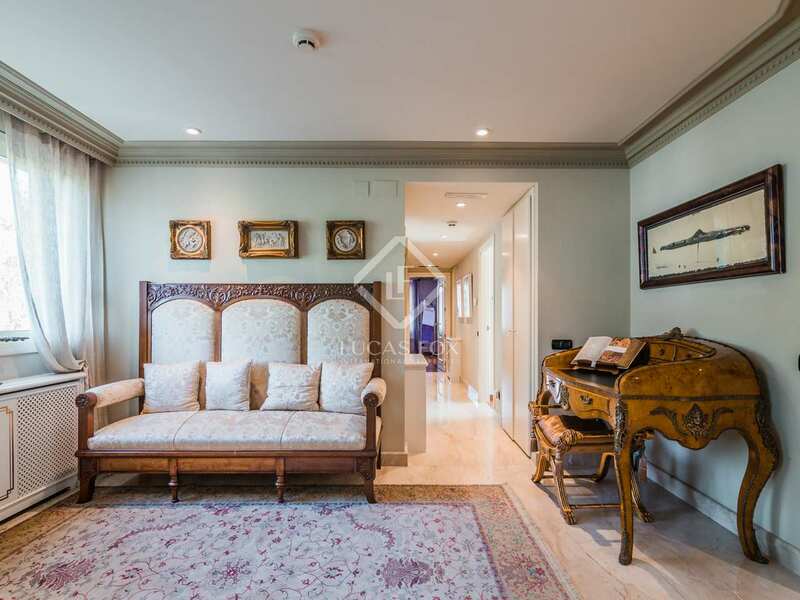 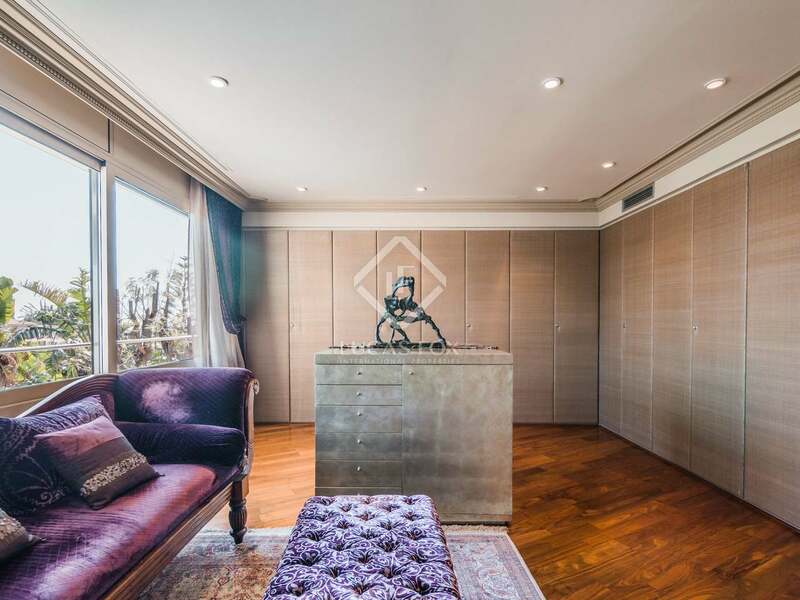 House located in the most prestigious residential area of Barcelona, Pedralbes. 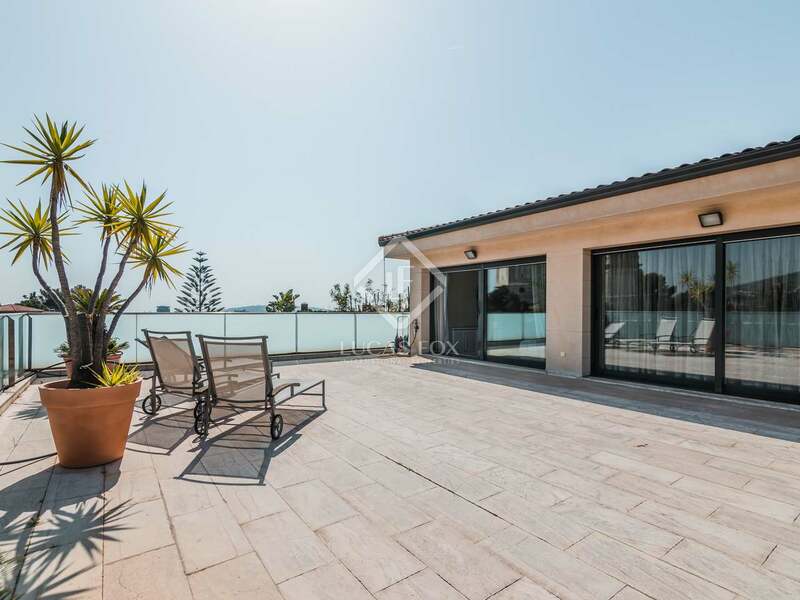 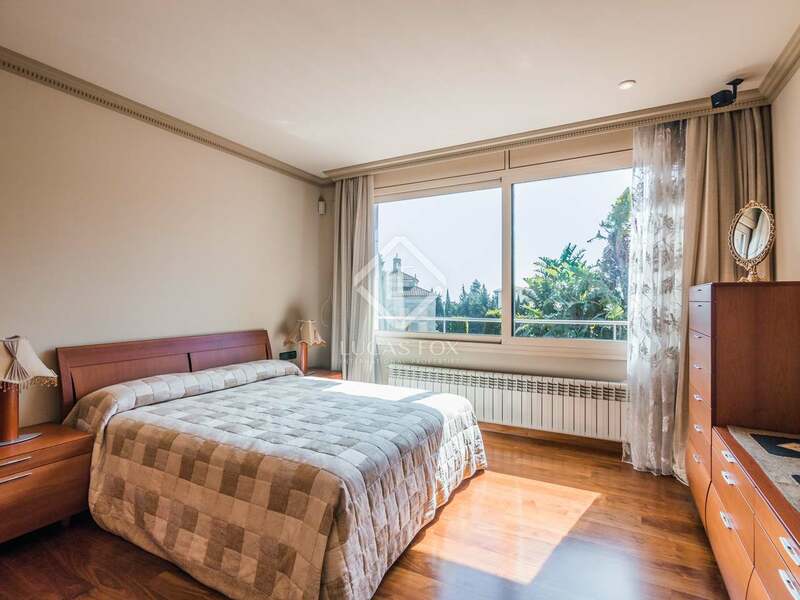 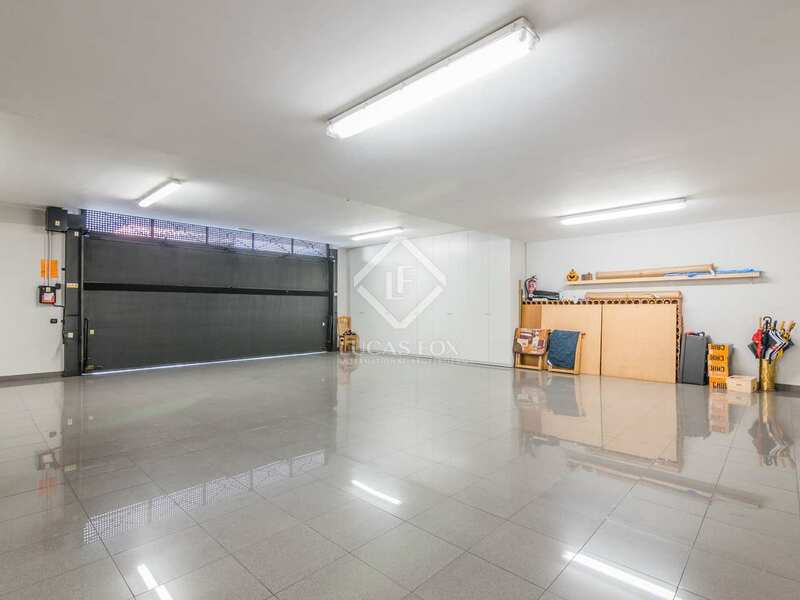 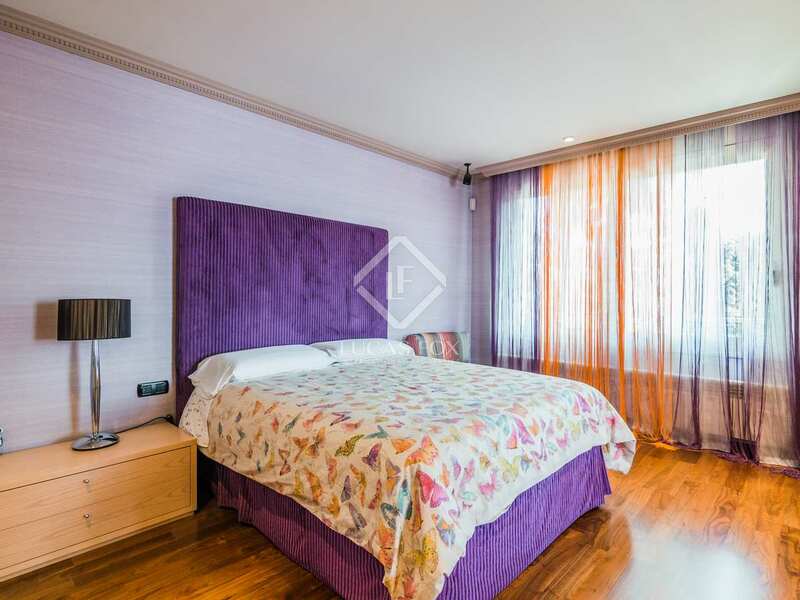 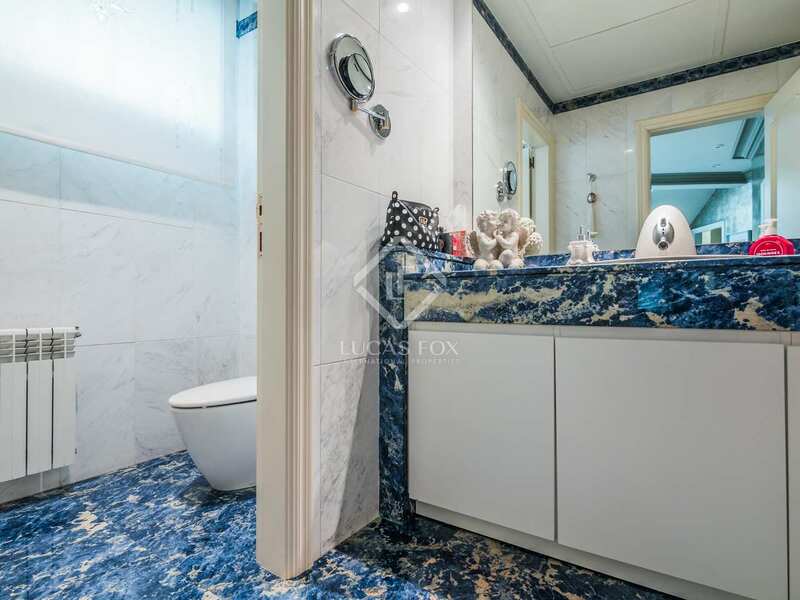 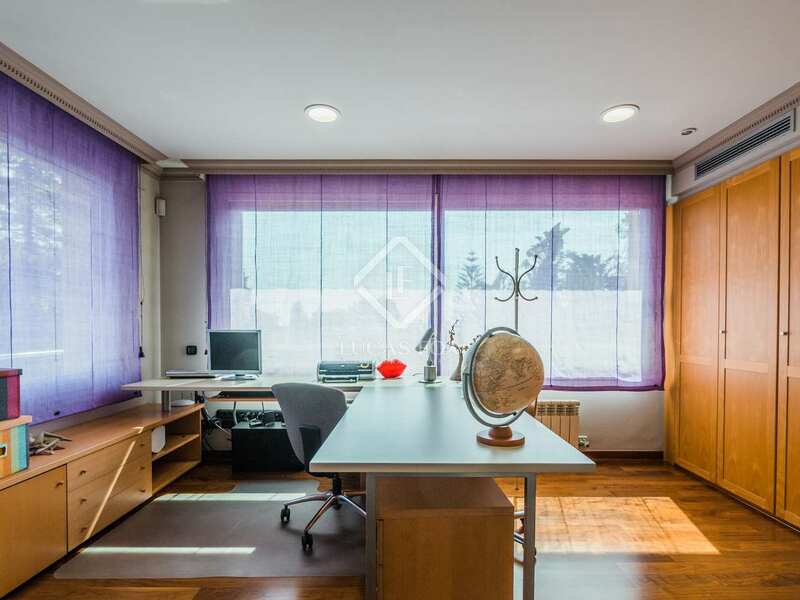 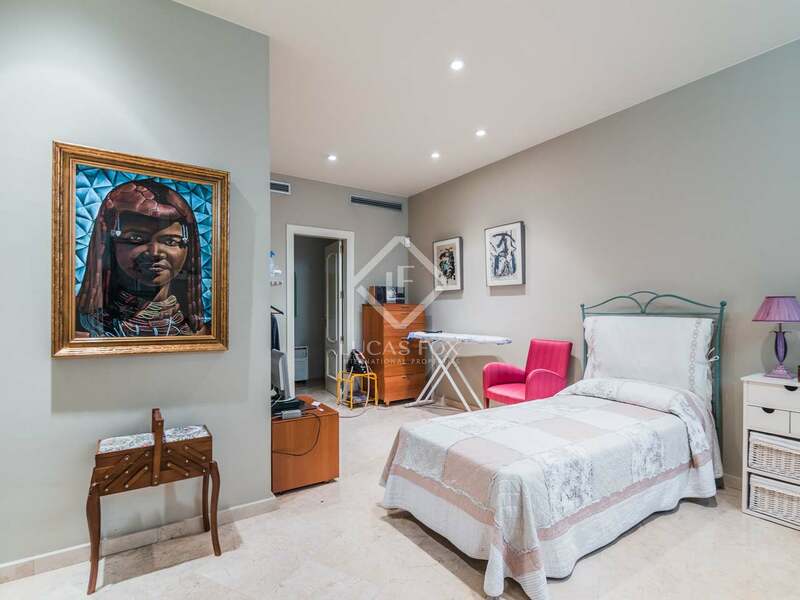 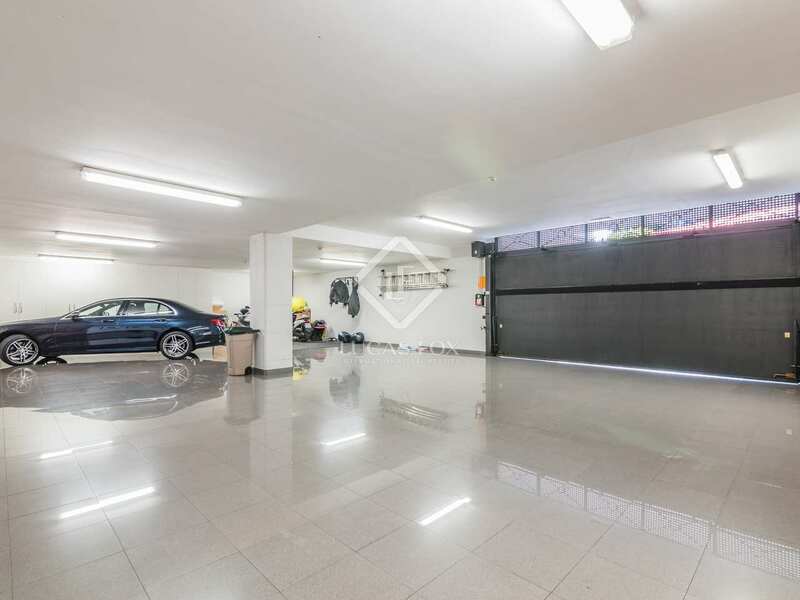 This affluent neighbourhood is found in the Zona Alta district of the city and offers easy access to the city, the Ronda ring road and reputable international schools.